The Collier Trophy is awarded annually “…for the greatest achievement in aeronautics or astronautics in America, with respect to improving the performance, efficiency, and safety of air or space vehicles, the value of which has been thoroughly demonstrated by actual use during the preceding year.” The list of Collier recipients represents a timeline of air and space achievements, marking major events in the history of flight. The Collier Trophy Selection Committee, comprised of 30 aviation and aerospace professionals, convened on April 4, 2019 to hear presentations from 11 nominees. With the apparent first fatality in an F-35 with the tragic loss of the JASDF Lightning... and how expensive that pilot and aircraft were... one wonders if this Auto-GCAS software update might get pushed out to the fleet toot-suite without waiting for the full Block 4 update? There was no reason to bundle it with Block 4 especially as it was initially envisioned as a Block 3F effort. 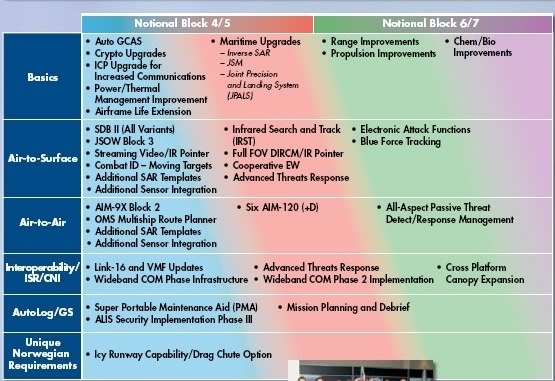 marauder2048 wrote: There was no reason to bundle it with Block 4 especially as it was initially envisioned as a Block 3F effort. introduction it was being looked at as quicksilver says: 3F clean-up but pre-Block 4.
then was looking to be protracted.